TRIGGERBALL® - The original - 42 edges against your pain! Your High End therapy Revolution - 42 edges against your pain! TRIGGERBALL – 42 Edges against your pain! 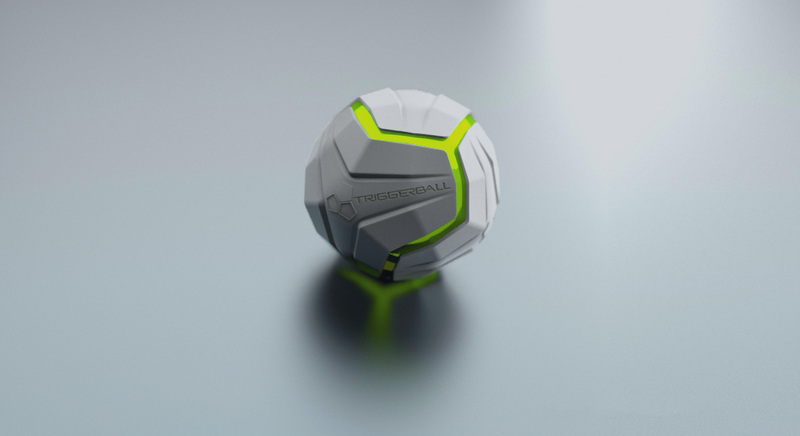 We developed Triggerball especially for the purpose to relieve tension and release trigger points in your body. At our therapy center amanu, Germany’s first interdisciplinary medical health center, we found out during years of practical experience that a triggerball with edges and a softer surface based on a harder elastic inner jacket can relieve your fascial pain and muscle soreness very effectively. For the first time established methods of treatment are made optimally usable for you by our triggerball due to its special design with 42 edges developed by health care professionals and physicians. Thanks to TRIGGERBALL you can at last continue the work of your therapist at home. It is your new self treatment tool. Use it in your car, on your couch or even in your bed! The revolutionary concept outshines conventional self treatment tools. Due to its innovative design everyone who suffers from fascial pain or muscle tenseness will find intuitively the right posture on one of the 42 edges of the Triggerball. It always hits without sideslipping! relies on established methods of osteopathy, manual therapy and acupressure. For the first time ever preventive and therapeutical elements are combined in a sensible way by the multidimensional functionality of Triggerball. High precision, soft fascial stretching, fast release of trigger points and relief of tension can support the regeneration and pain reduction in your musculoskeletal system. TRIGGERBALL® is Germany’s high-end self treatment tool and was developed and designed in Bavaria. We – a team of osteopaths, physiotherapists, occupational therapists and physicians – developed Triggerball for you. For the first time our established methods of treatment are applicable for you due to the 42 edges of Triggerball. Our team of therapists is happy to provide you with the high-end triggerball – a new and fantastic self treatment tool for your daily health care. Join the movement, we are waiting for you! CONTACT US IF YOU HAVE ANY QUESTIONS ABOUT TRIGGERBALL® OR THE TRIGGERBALL®-METHOD.